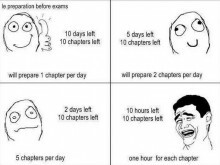 Folks, Why we have exams ?? … thinking… two hours gone.. .still thinking… ANYWAYS Here is something to share…. chill ! !